If you know Level-5, you probably know them for the excellent puzzle-solving Professor Layton series, but they also are the makers of the massive 3DS JRPG Fantasy Life and the wildly popular (in Japan) JRPG, Yo-Kai Watch, as well as, I have just discovered, developing Dragon Quest VIII and IX. 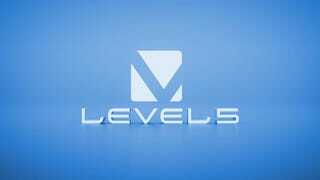 Level-5 has more recently developed an affinity for portable gaming experiences, largely favoring the PSP and DS lines as well as the mobile phone market. But with the Vita’s underperformance in sales and the 3DS’ long and successful life seeming to be drawing to a close within the next couple years, it was only a matter of time before Level-5 had to make the switch (ayyyyy) to Nintendo Switch. In many ways, it makes total sense. The Switch offers Level-5's beloved portability, yet offers technical power approaching that of a traditional console. It really seems that once the 3DS and Vita are completely buried, the Switch will be, if it isn’t already starting to be, the ultimate portable gaming console, attracting the developers from both previous pools. Because of the sometimes-vague nature of the Japanese language, it isn’t clear whether one or more games are being developed for Switch, but there is a high probability that the game being developed is Inazuma Eleven: Ares, a game focused on youth soccer, of all things, which has been confirmed to come out on 3DS and strongly hinted to come out on a “higher quality game machine” as well. It is currently unknown if this game will be released outside of Japan on any platform at the moment. While I don’t personally have much interest for the Inazuma Eleven series, I hope this sets a precedent for Level-5 releasing their future games on this platform, especially the next installment in the Layton franchise following Layton’s Mystery Journey: Katrielle and the Millionaires’ Conspiracy. The game releases in the states on July 20th for iOS and Android, while the western 3DS (the Japanese 3DS gets it on July 20th) will have to wait for the game to come out in the west this Fall.